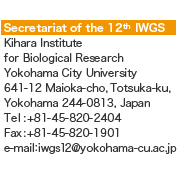 The 12th International Wheat Genetics Symposium will be held in one of Japan’s biggest convention centers “PACIFICO YOKOHAMA” in Yokohama, one of Japan’s most popular tourist areas. It has a great access from the closest station with less than 5 minutes on foot, and the area offers everything from accommodations and restaurants to shopping and sightseeing. Take an Airport Limousine Bus for YCAT. 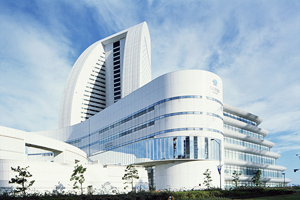 Then change to Minato Mirai Line or take a taxi. Take the Keihin Kyuko Express (for Zushi) and get off at Yokohama Station. Then change to Minato Mirai Line. Take the JR Narita Express to Yokohama. 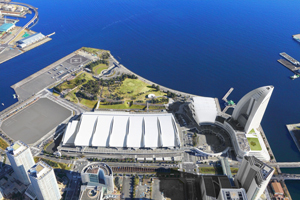 Change to Minato Mirai Line. 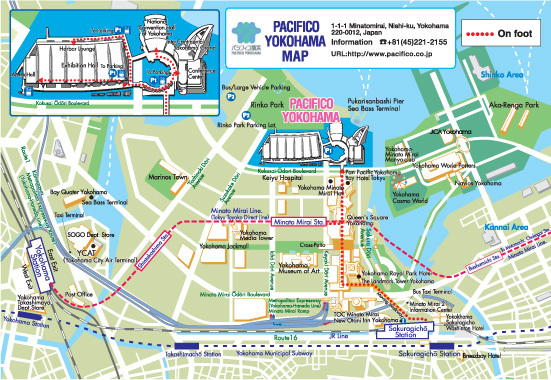 *When taking other buses, get off at YCAT (Yokohama) and then take Minato Mirai Line or a taxi.